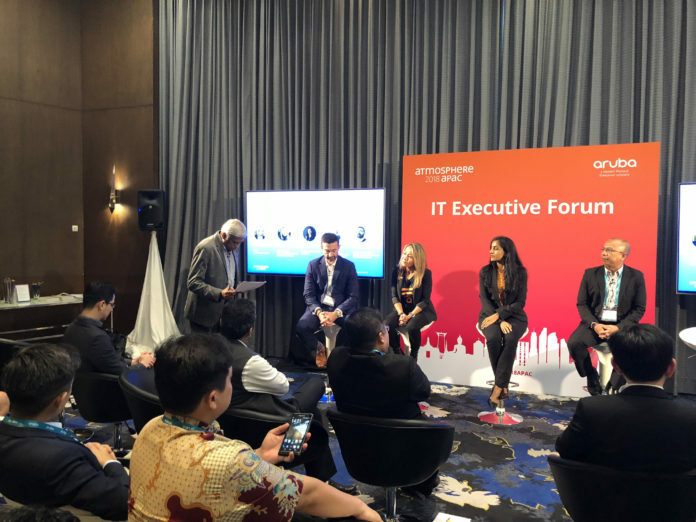 CIO Academy Asia hosted a session sharing CIO Insights in Asia on Digital Transformation and Leadership issues, as part of the IT Executive Forum during the Aruba ATMOSPHERE 2018 APAC organised by Aruba Networks. 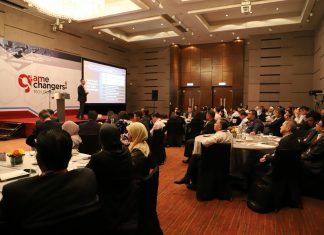 Over 40 delegates across APJ and were given an overview of the digital trends in Asia and the key drivers in driving digital transformation. One of the salient points covered was that World Economic Forum has now also identified disruptive technologies as superpowers as compared to the traditional definition of countries with the high GDPs. 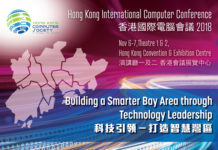 The ABCD trending of disruptive technologies highlighted were Artificial Intelligence, Blockchain, Cloud and Data Analytics. 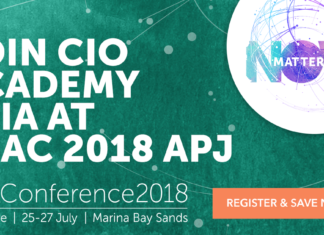 Modern day organisations embarking on digital transformation journeys are also expected to have leadership competencies in ACID (Agility, Cyber-Resilience, Innovation & Design and Data Analytics). 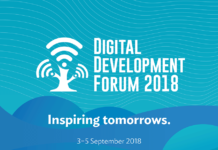 Data was also cited as the new fuel for the digital economy as organisations are expected to deliver customer-centric services to remain relevant and competitive in this fast-changing business landscape which we live in. A 4-member panellist discussion on “Navigating and staying ahead of the rapidly evolving digital workplace” was held thereafter with panellists Dr Ayesha Khanna, Co-founder and CEO, ADDO.ai; Janice Le, Chief Marketer, Aruba; Withit Wiwat, Division Director, Information Technology, TC Pharmaceutical; and Richard Christopher, Global Head, Network Services, Standard Chartered Bank. A recent survey report by Aruba covering 7,000 employees from 15 countries revealed some interesting findings about how smart digital workplaces can have a positive influence on work practices and behaviours of employees. 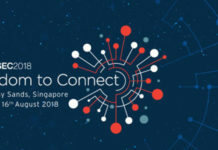 One surprising fact from the survey which surfaced was that most of today’s ‘mobile’ Gen-Z workers expect their CIOs/CISOs to mitigate cybersecurity threats because they are less interested in cyber hygiene best practices in their respective organisations. Summing up the discussion, panellists singled out the need to embark on bite size projects as organisations leverage disruptive technologies, the ability to take risks like most startups, drive fast, fail fast and create a smart environment where employees can be more collaborative, feel good and be more productive!